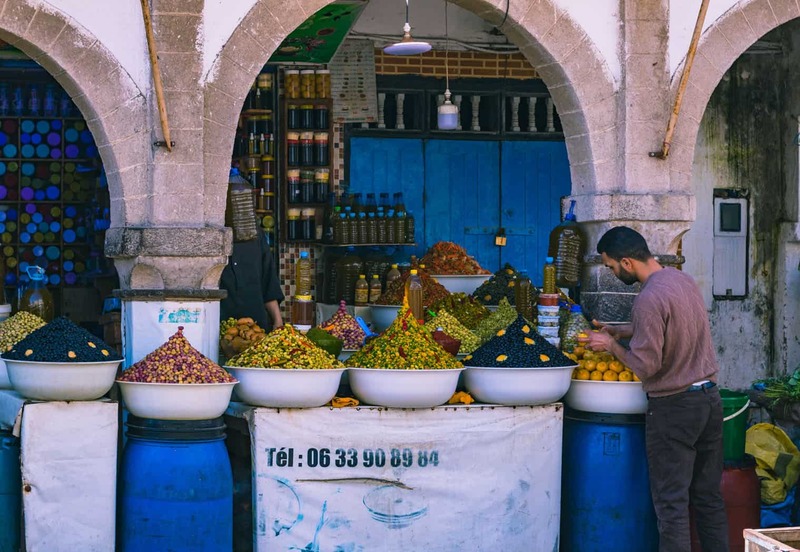 If you’re wondering what type of Morocco budget you’ll need for your visit, this post should help sort that out for you. 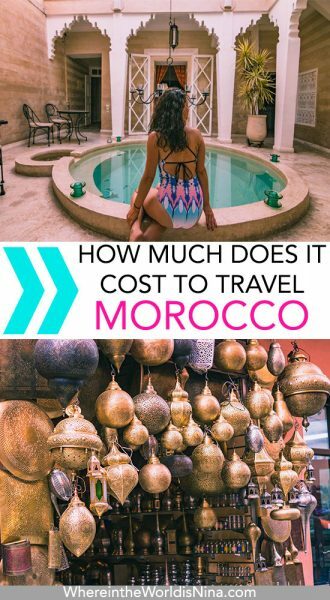 While everyone travels differently and I can’t tell you exactly how much to bring, below you’ll find an idea of how much it costs to travel Morocco. 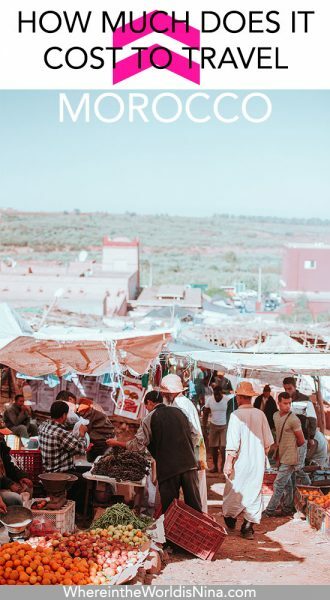 I’ve broken down everything for you to make it easy so you can prepare for the costs you’ll encounter while traveling around Morocco! Ya know what, I have to admit, I thought Morocco was going to be cheaper! 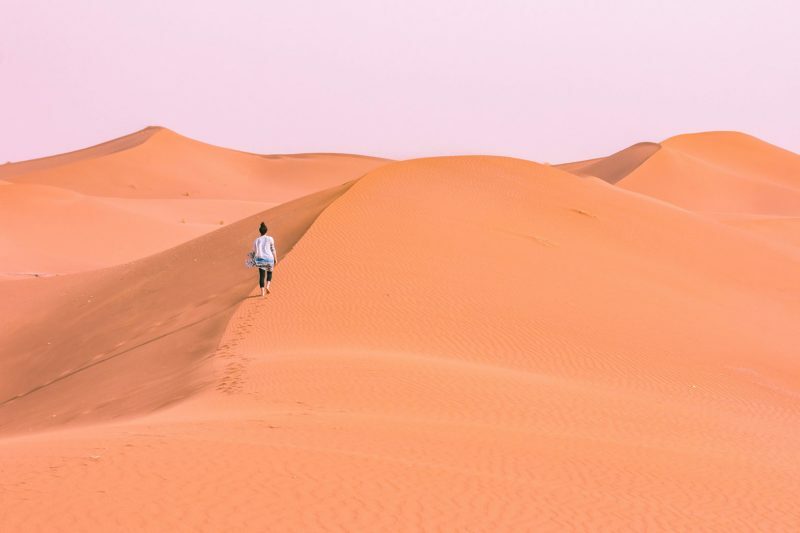 Is Morocco cheap? Yes, but is it as cheap as I thought it was going to be? Not really. Of course, the cost is relative to many different factors, and overall, it wasn’t expensive! Now, below I’m giving you the basic costs, what we paid for things, and the “highlights” of the cost of traveling in Morocco. I won’t be displaying our total spending as it wouldn’t help you! We stayed here for nearly three months and we lived in Taghazout for about five weeks of that time. Who travels like that? Pretty much nobody. Good news is, my info can still provide value if you’re wondering ‘is Morocco cheap’ because we experienced A LOT during that time thus giving you a wide range of what the costs are in Morocco. But let’s stop babbling and I’ll just show you the numbers, cool? Just remember every 10 MAD equals a dollar. You can even just slice off the last zero to make it even easier. 450 MAD becomes around $45. I found it easier to display everything in MAD as currency conversions change often. Check here for a conversion update. Accommodation will obviously vary from city to city and from person to person but hopefully, my travel style is a bit of what yours is like and you can get some ideas. Generally, we went for cheaper places that still offered value, we don’t stay in dorms and don’t book total sh*tholes to save a buck. #TooOldForThat. Our goal was to get hotels for under 280 MAD per night. We met this goal overall as a few nights we spent a bit over and a few nights we spent way under. 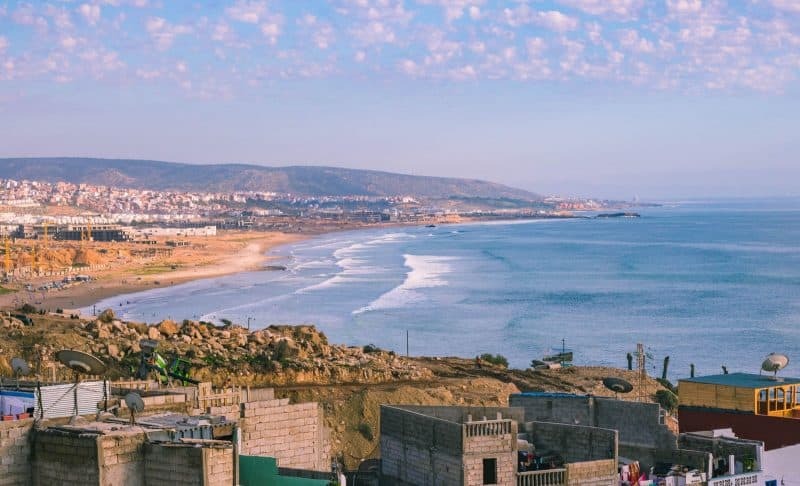 But we also stayed in an Airbnb for four weeks while living in Taghazout. We ended up only spending 150 a night at that place as we worked out a month deal with him. 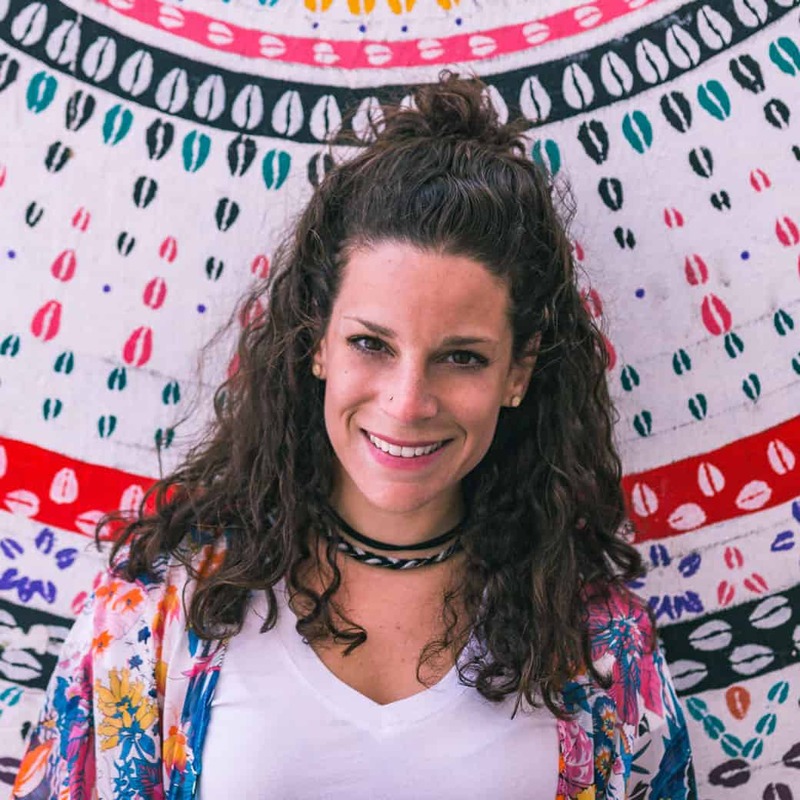 PRO TIP: if you plan on spending a good chunk of time in a place (literally anywhere in the world) and you find a place you like on Airbnb, stay a few nights and then work out a deal for a month and pay off the system for a sweeter deal. It’s exactly what we did and it ended up being 1400 MAD cheaper. Something to keep in mind is, most accommodation we found included a breakfast, and it was often plentiful and actually really nice! So keep that in mind while browsing hotels, you may be getting a meal with that price! Not too bad considering the meals included. AND the vibes were awesome and it was a super cute place. This was the only place where we had a shared shower and bathroom though! If you’re wondering ‘is Morocco cheap?’ Then this may be a huge NO in your face. BUT this was a fully furnished private apartment, with kitchen and appliances etc, two rooms, living room, and we could see the beach from our wall of windows! Not too shabby. We definitely could have found something cheaper but it wouldn’t have given us a view it would have been more out of town, and the value would have been less. At the end of the day, this place was only $16 USD a night split between two people! Our landlord also ran the downstairs shop which was convenient and they also brought us home cooked food randomly which was SO sweet of them! If you’re curious exactly where we stayed in each place, check out my other Morocco posts as I give all of my hotel recommendations in the specific posts about the places we went! Factor in a road trip for your Morocco budget! Totally worth it. Transportation costs aren’t too bad but they will surely add up if you’re bopping around the country every other day! We found our road trip to be one of our best travel experiences and wouldn’t have changed a thing. 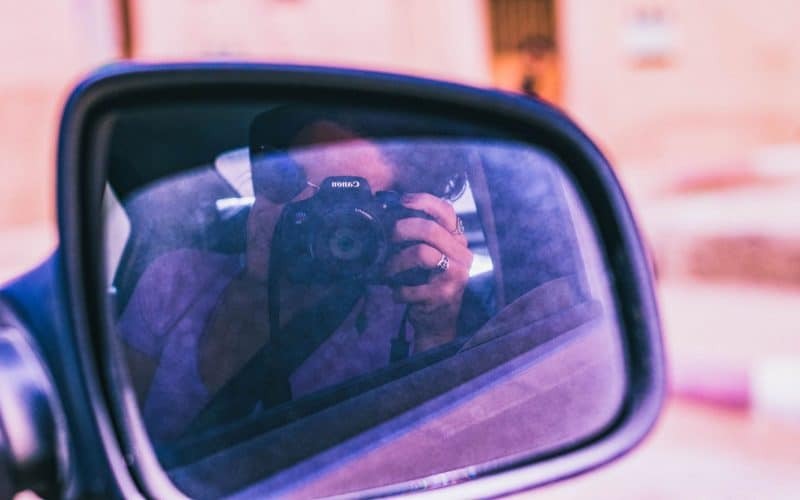 Again, we’re talking value here and while a car rental will obviously be more than a bus ticket, the value given is far greater and worth every cent. With the car, you can get a lot more done and see more of Morocco than you would from a bus. You can find more prices simply by looking on CTM’s website. This is the more expensive bus to ride but convenience, less hassle, fewer stops, faster trips etc all made it worth it in my eyes! By far the best way to travel the country! We already want to go back and road trip more. DON’T be scared, it was actually safe and easy. But this is one thing that isn’t that cheap in Morocco. Ouch. Still totally worth it! Check all the driving tips you need for Morocco. And don’t think you’re getting away with cheap gas either. And don’t forget about parking! Luckily this one is cheap in Morocco. Now, you can definitely get a car for cheaper depending on when you come. If you’re visiting Morocco in winter, the car may be cheaper. This is how much it cost us when we were visiting (March) and we shopped around! Check prices on our two go-to sites for renting cars around the world. This is another thing that will vary wildly from person to person. We love eating local, we love cooking for ourselves, and we also like to grab a damn simple pizza here and there too. So shoot me! Local food in Morocco is pretty good but I don’t know what all the rave is about. To be short, there’s tagine and couscous and those are the main items. And when you’re vegetarian, that limits things even more. Literally the best olives you will have in your life. But we had the opportunity to cook for ourselves a lot while living in Taghazout and it was so good and cheap too! We also found a few “cheat” places. Alcohol isn’t too easy to find unless you go to a club or a nicer hotel but we did find some! And you can’t forget about the tea, you’ll be addicted! We often ate two meals and then a snack for our third. This is something we do a lot of, simply because we eat well when we do eat and sometimes three full meals aren’t necessary! Also, when you’re out filming, snapping pictures and enjoying yourself, you lose track of time and it’s already dinner. So sometimes lunch was more of a quick bite and that’s it. We are not shoppers. In fact, I hate shopping, But I did want a cool local dress and my mom essentially begged me to buy her stuff and bring it home. So we went shopping… And I think we did pretty good! Remember, haggling is part of the culture, just don’t get disrespectful about it. They will always try to sell it to you for higher, of course, but as long as you’re nice, you can end up getting it for nearly half price! My $10 local dress and I prancing around an abandoned mosque. I think of it like this: What am I comfortable paying? What was the initial price they offered? I’ll offer around half and try to keep it there as best as I can. In the end, I won’t haggle for an extra dollar off. Just keep in mind for those who are “awkward” with haggling, they won’t sell it to you if it’s not a decent deal for them… So if they refuse to go lower after a while, either buy it or move on. Shop in small towns and on the side of the street, they can be cheaper than the big bustling cities. Buy all of your things from the same person. They will give you a sweet deal! Know what to buy in Morocco. We got these mirror things with little doors on them to hide the mirror (super cute!) for our moms. We also got a teapot and a small specially crafted tagine (a bit fancier than the plain ceramic painted ones). ALL four items we got for 300 MAD from the same person. You could also spend a lot of money on expensive riads (I don’t get it?) just to have fun at their pool (because pools in other parts of the world doesn’t exist…?) and get your Insta-photos (because nothing says #culture like bikinis at a pool in Morocco, amiright? ), but I think spending money on hotels is a bit silly. I’d rather spend money on experiences. At the end of the day, I’m literally just there to sleep. 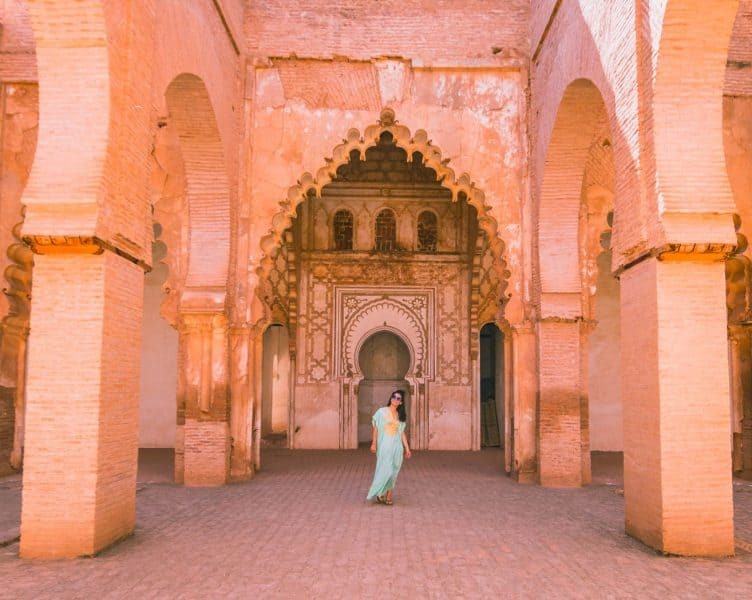 There are plenty of things you can blow your Morocco budget on… and experiences are where it’s at (in my opinion)! Hopefully, you found this helpful! Does this answer, “is Morocco cheap?” for you? 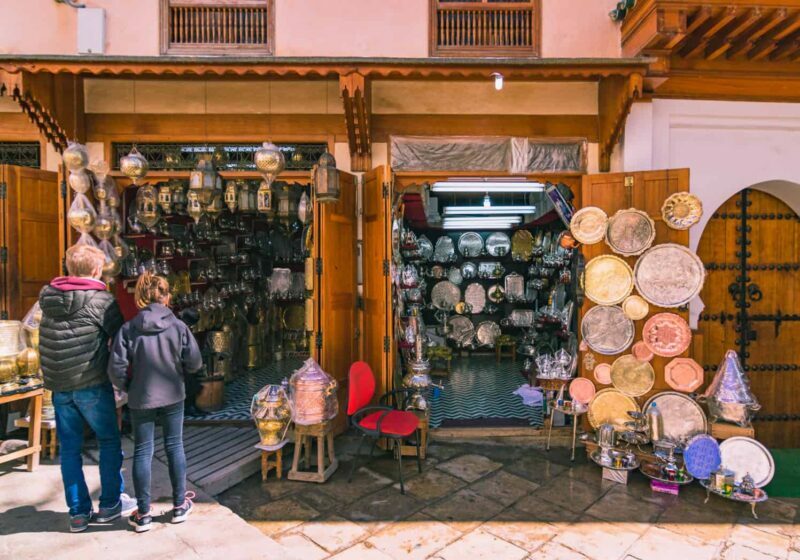 What are you planning on blowing your cash on while in Morocco? Let me know in the comments!